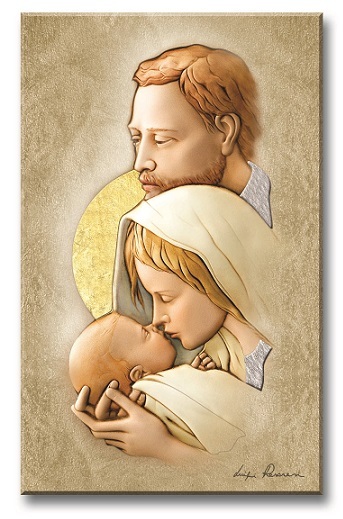 All Beautiful images of Catholic art, including the Holy Family, Madonna and Child, Jesus, the Blessed Mother, Saints, and Angels are available. 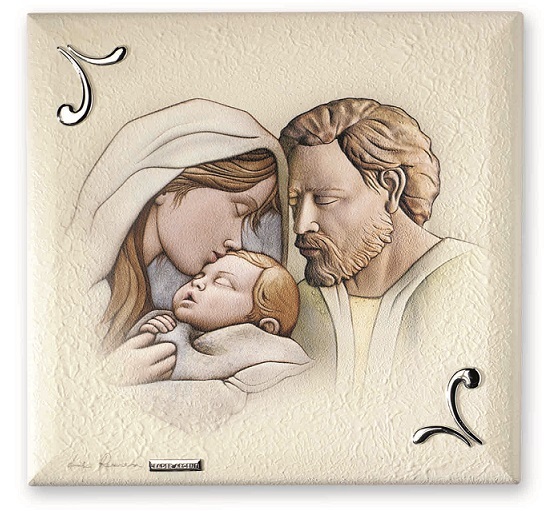 Sterling silver plaques are on cherry or mahogany wood, which can be displayed as a wall hanging or set on its easel. 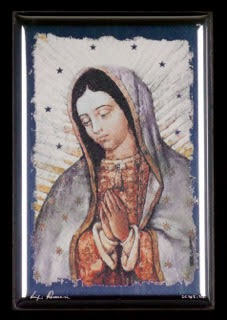 Select images are adorned with Mother of pearl or hand painted enamels. 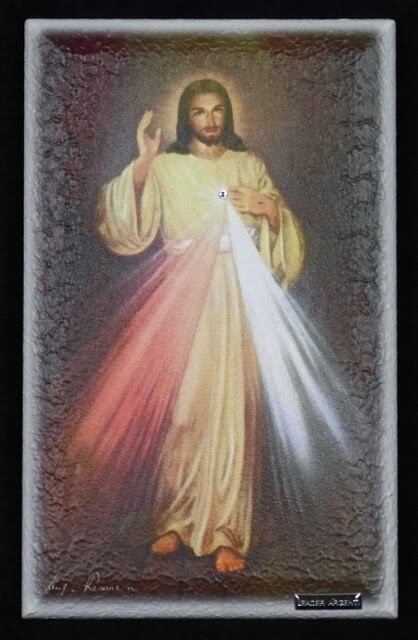 Plaque - Crucified Christ sterling silver with gold highlight and leather backing. 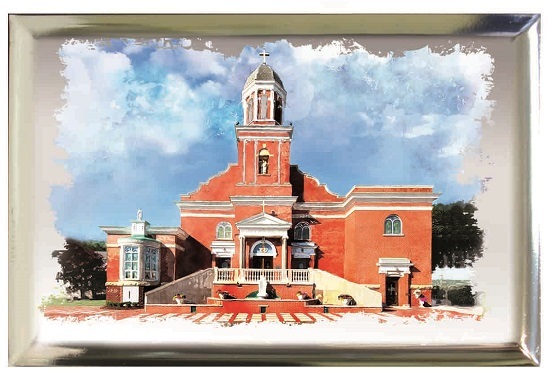 Plaque - Image of Basilica of Our Lady of Mt. 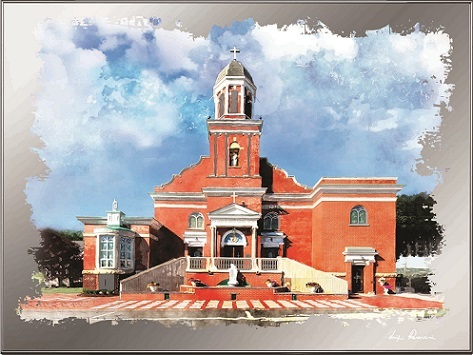 Carmel Church, located in Youngstown, Ohio, reproduced with an innovative relief printing technique over an aluminum plaque. 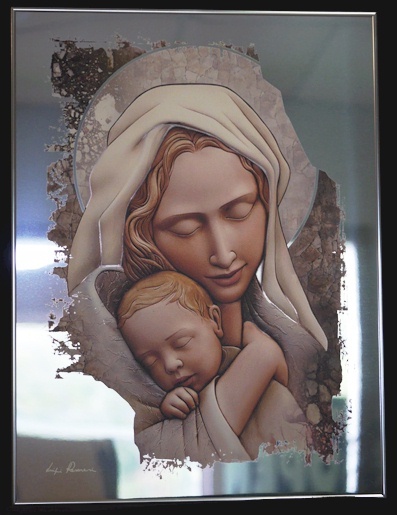 The plaque is framed with a bright aluminum frame and supported by a wooden panel. 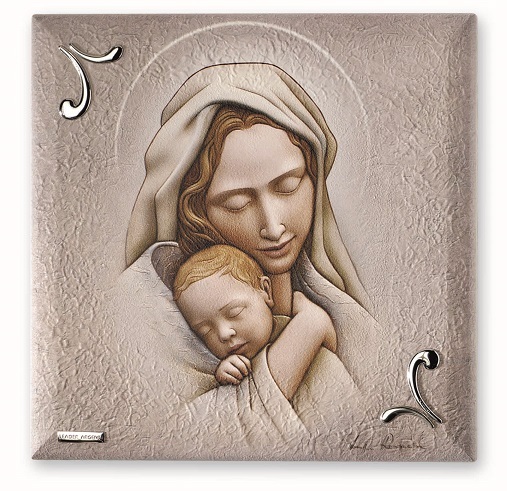 Plaque - Motherhood image are reproduced with an innovative relief printing technique over an aluminum plaque. 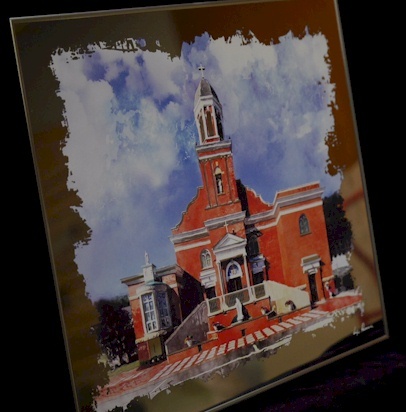 The plaque is framed with a bright aluminum frame and supported by a wooden panel. 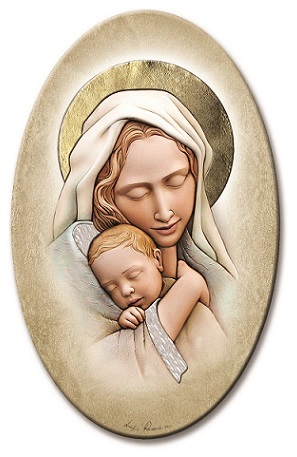 Plaque - Motherhood sterling silver with gold highlight and leather backing. 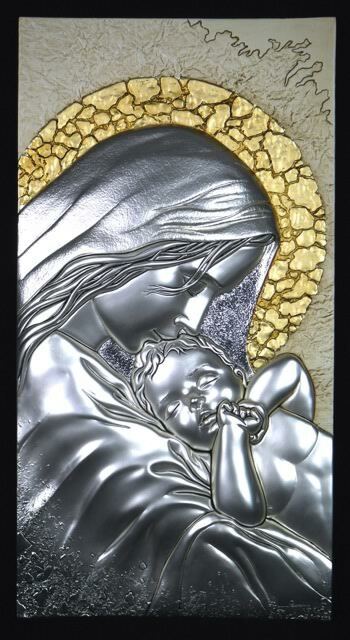 Plaque - Motherhood sterling silver with gold highlight halo. 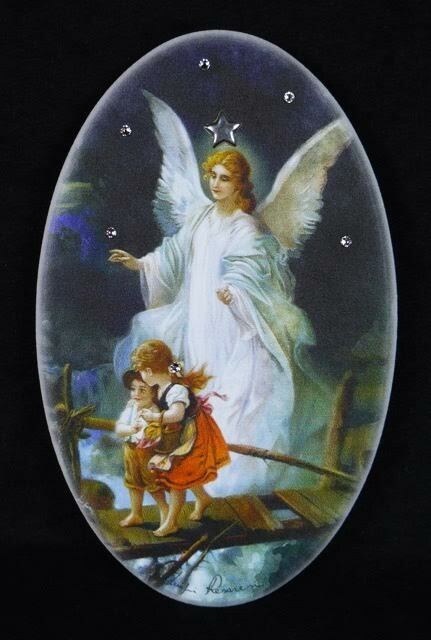 Plaque - This fresco finish of a Guardian Angel with Children is produced with a special printing technique onto stucco which is applied by hand onto a wooden panel. A special varnish is then used to protect the beauty of this piece. 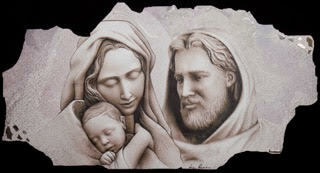 Plaque - This fresco finish of Jesus is produced with a special printing technique onto stucco which is applied by hand onto a wooden panel. 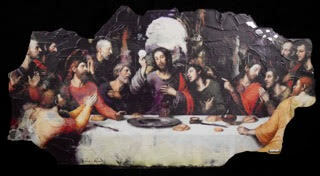 A special varnish is then used to protect the beauty of this piece. 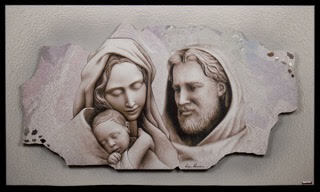 Plaque - This fresco finish of Mary & Jesus is produced with a special printing technique onto stucco which is applied by hand onto a wooden panel. A special varnish is then used to protect the beauty of this piece. 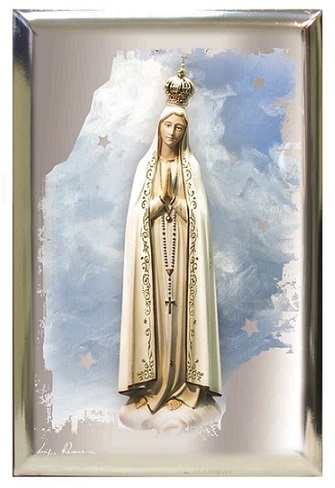 Plaque - This fresco finish of Our Lady of Fatima is produced with a special printing technique onto stucco which is applied by hand onto a wooden panel. 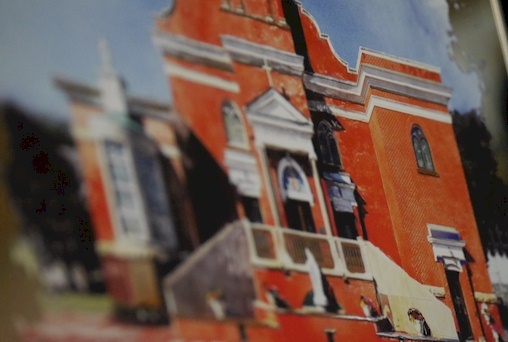 A special varnish is then used to protect the beauty of this piece. 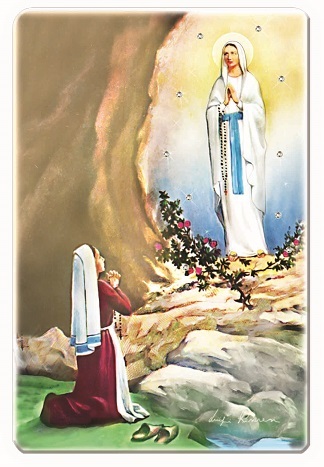 Plaque - This fresco finish of Our Lady of Lourdes is produced with a special printing technique onto stucco which is applied by hand onto a wooden panel. 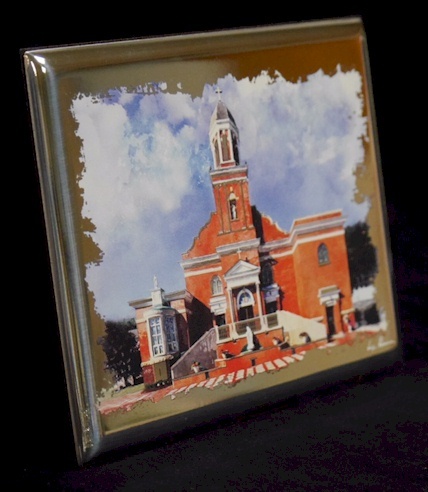 A special varnish is then used to protect the beauty of this piece. 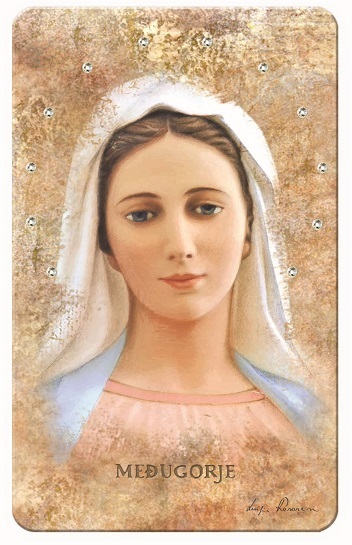 Plaque - This fresco finish of Our Lady of Medjugorje is produced with a special printing technique onto stucco which is applied by hand onto a wooden panel. 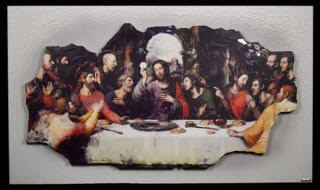 A special varnish is then used to protect the beauty of this piece. 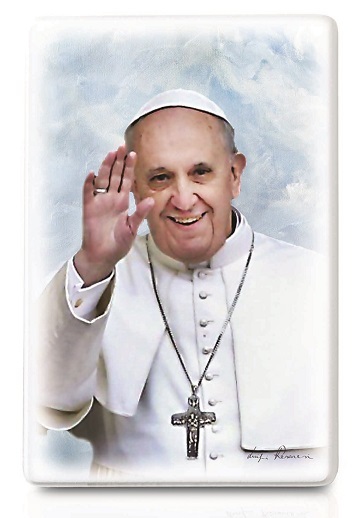 Plaque - This fresco finish of Pope Francis is produced with a special printing technique onto stucco which is applied by hand onto a wooden panel. 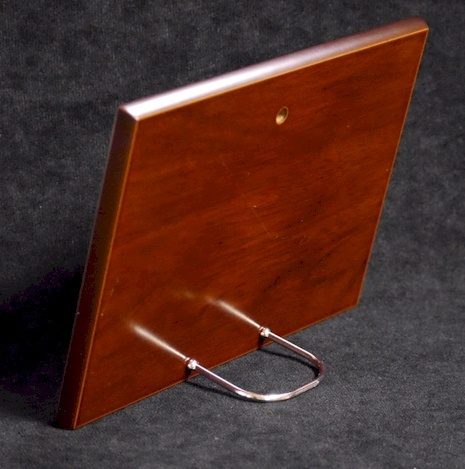 A special varnish is then used to protect the beauty of this piece. 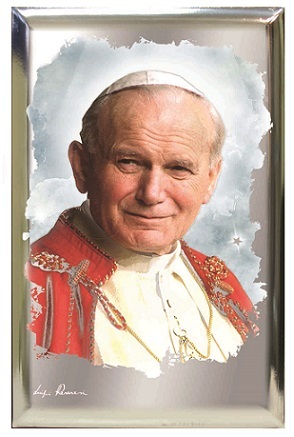 Plaque - This fresco finish of Pope St. John Paul II is produced with a special printing technique onto stucco which is applied by hand onto a wooden panel. 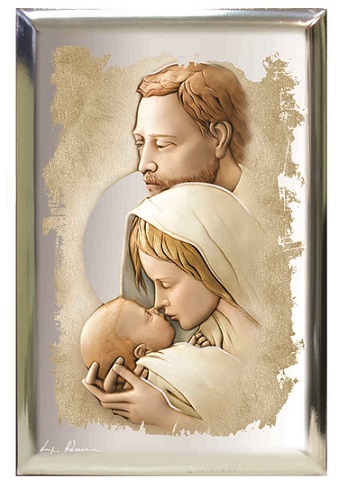 A special varnish is then used to protect the beauty of this piece. 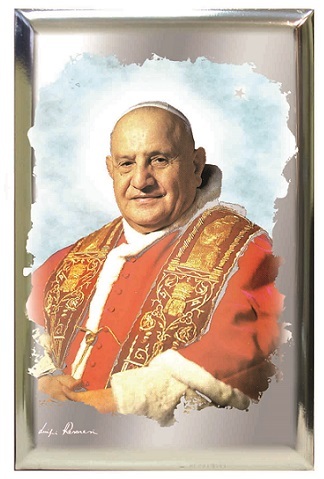 Plaque - This fresco finish of Pope St. John XXIII is produced with a special printing technique onto stucco which is applied by hand onto a wooden panel. 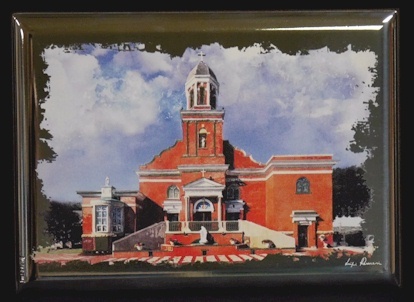 A special varnish is then used to protect the beauty of this piece. 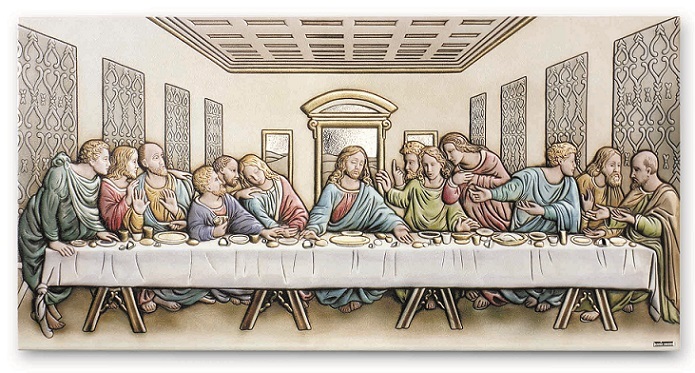 Plaque - This fresco finish of the Crucifixion is produced with a special printing technique onto stucco which is applied by hand onto a wooden panel. 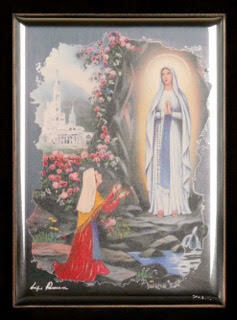 A special varnish is then used to protect the beauty of this piece. Plaque - This fresco finish of the Holy Family is produced with a special printing technique onto stucco which is applied by hand onto a wooden panel. 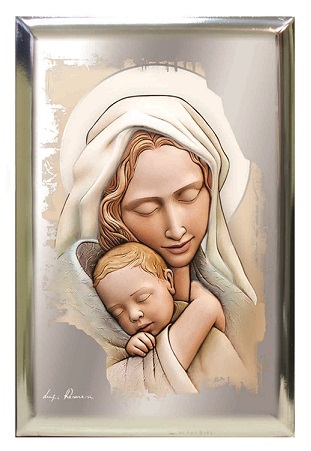 A special varnish is then used to protect the beauty of this piece. 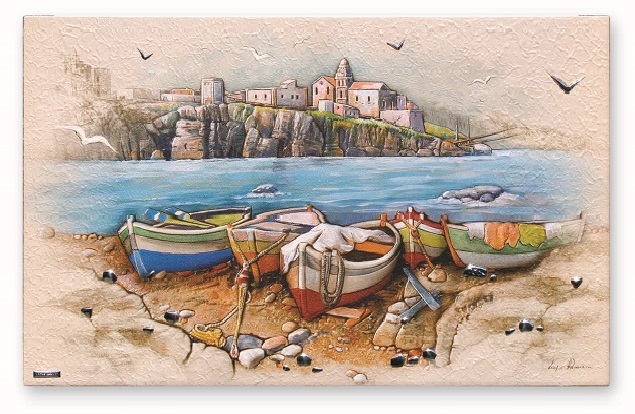 Plaque - This fresco finish of the landscape of the boats on the shore is produced with a special printing technique onto stucco which is applied by hand onto a wooden panel. 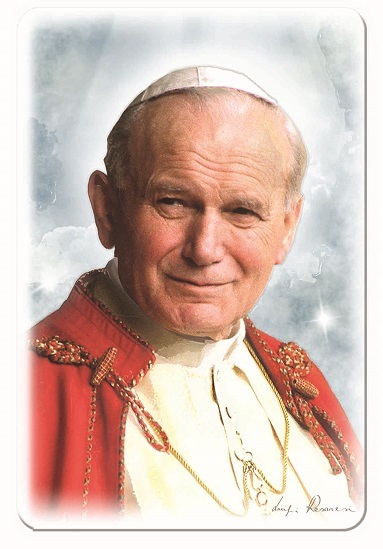 A special varnish is then used to protect the beauty of this piece. 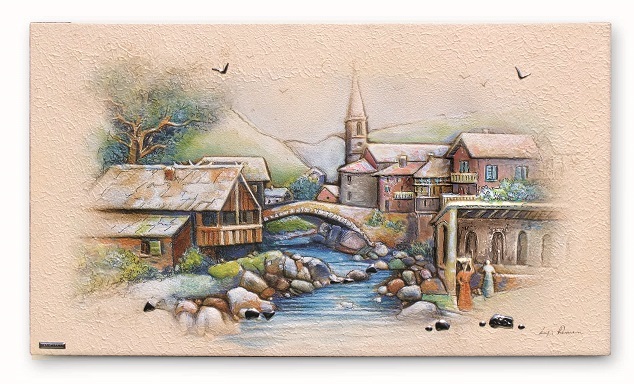 Plaque - This fresco finish of the landscape with the stream with bridge is produced with a special printing technique onto stucco which is applied by hand onto a wooden panel. 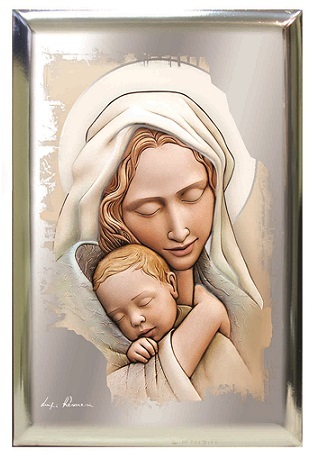 A special varnish is then used to protect the beauty of this piece. 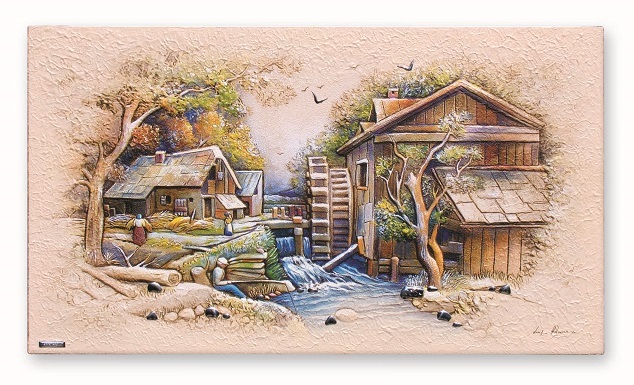 Plaque - This fresco finish of the landscape with the water wheel is produced with a special printing technique onto stucco which is applied by hand onto a wooden panel. 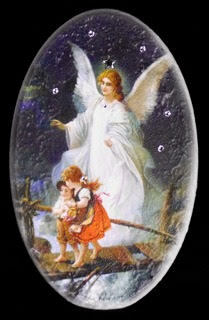 A special varnish is then used to protect the beauty of this piece. 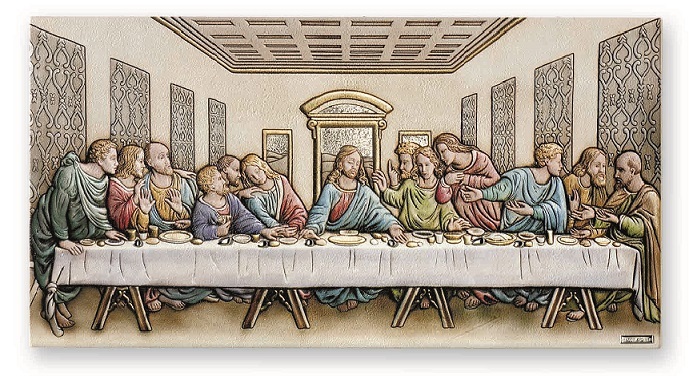 Plaque - This fresco finish of the Last Supper is produced with a special printing technique onto stucco which is applied by hand onto a wooden panel. 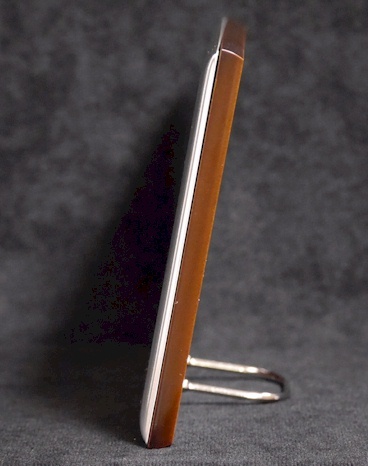 A special varnish is then used to protect the beauty of this piece. 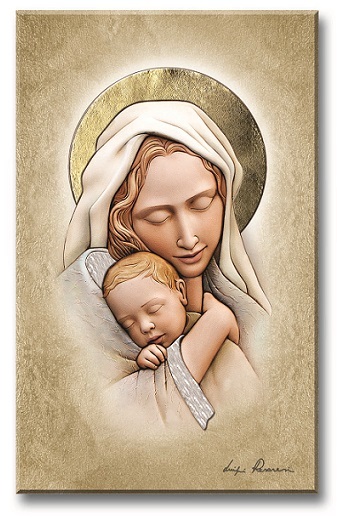 Plaque - This fresco finish of the Madonna & Child is produced with a special printing technique onto stucco which is applied by hand onto a wooden panel. A special varnish is then used to protect the beauty of this piece. 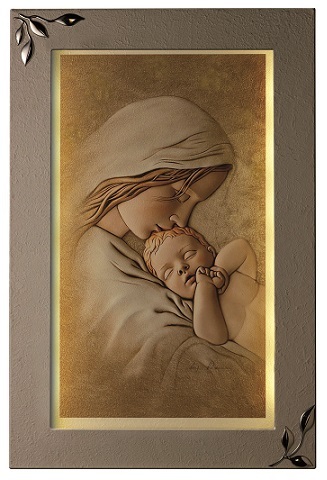 Plaque - This fresco finish of the Madonna & Child is produced with a special printing technique onto stucco which is applied by hand onto a wooden panel. 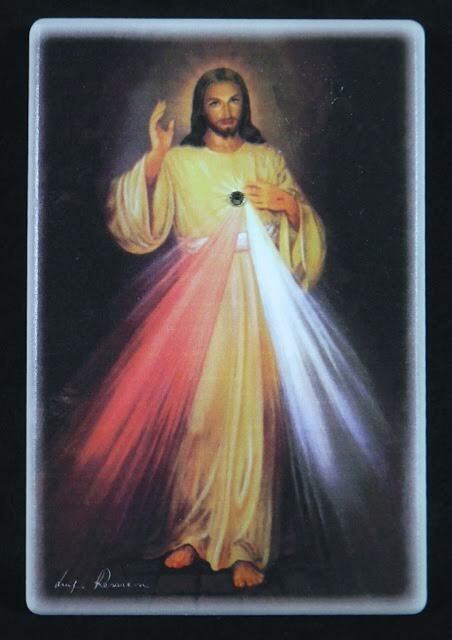 A special varnish is then used to protect the beauty of this piece. 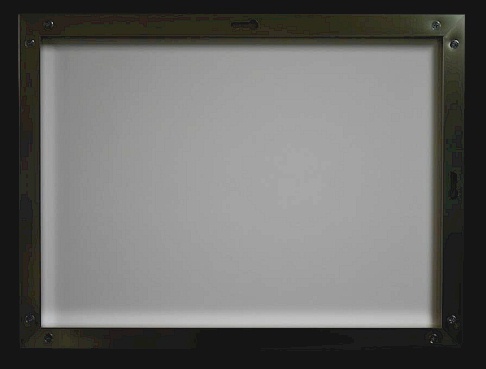 There is a touch button on the side to illuminate the picture. 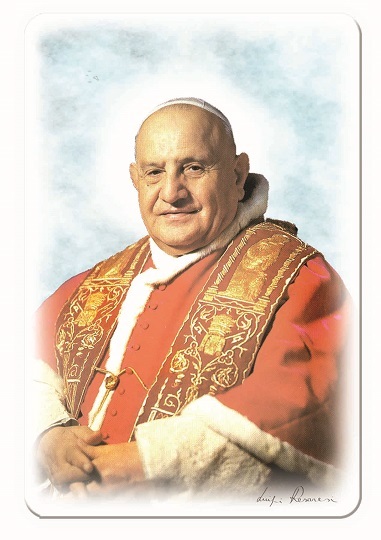 Batteries required. 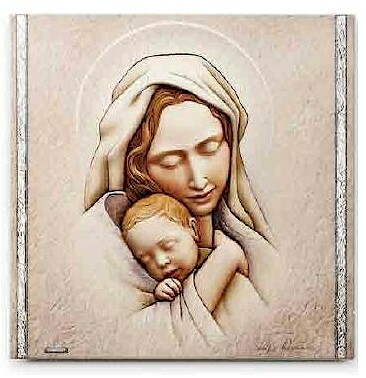 Plaque - This fresco finish of the Maternita is produced with a special printing technique onto stucco which is applied by hand onto a wooden panel. 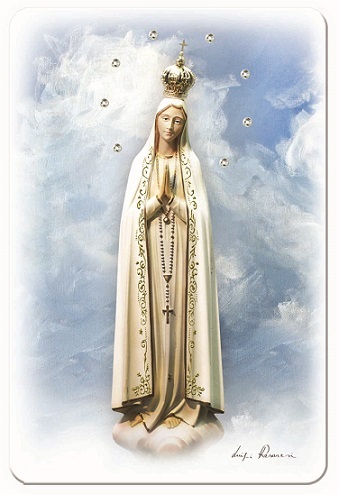 A special varnish is then used to protect the beauty of this piece.